The beginning of the project has its roots in the distant years between 1991 and 1994, when inspired and lead by Georgi Georgiev a line-up was gathered in order to record the grand and spectacular for its times project called "Tangra's Last Battle" - a rock-opera. The concept belongs to Georgi Georgiev (vocals and music), Rosen Georgiev (guitar and arrangements) and Petar Petrov (lyrics) and it was started in 1991. Before that all of them worked individually, in local bands in Montana. 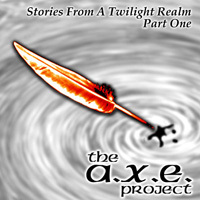 The realization of this project demanded the gathering of some serious musicians and therefore in 1994 the first line-up was created under the name A.X.E., which was to record the overture of the rock-opera. The line-up was completed by Georgi Georgiev - guitar and vocals, Rosen Georgiev - guitar, Rosen Mehanov - lead guitar (Mountain Lion), Valentin Petrov - keyboards and Nickolay Simeonov - bass (Detonator). The recordings was produced by the two brothers Georgi and Rosen and was done at a "Brod" studio in Lom (a nearby city). One year later, in 1995, the band appeared on stage for the first time with the guest musicians from Mountain Lion. During the same year, the track recorded in the studio reached second place in the top 10 of Radio Blagoevgrad (a city in Bulgaria). During 1996 the band gave its first interview for the same radio station as an attempted to find funding for the completion of the whole project. Than the band took one year break which ended in 1997 when the band hit the stage once again with the guest musicians from Mountain Lion. In the repertoire there were own songs in a hard rock and heavy vibe, also some covers and has received a strong response from the audience. The 6 songs played has never been recorded because in 1998 the band decided to dramatically change their musical direction and concept as a whole, searching for an unique own style. At that point Rosen and Georgi started developing a brand new conceptual gothic project which took around 3 years. The materials gathered exceeded over one album so they needed to expand the concept up to three, connected both musically and lyrically. Rosen was the author of all the music and Georgi took on the lyrics and arrangements. In the period between 2000 and 2001 the two brothers gathered a band with the main goal of selecting and developing the ideas, which would end up on the first album. The band worked in the studio, without any concerts and performances. In the late fall of 2001 the recordings for the first CD of the project, named "Stories from a twilight realm - part I" started. The CD was to contain 9 tracks in the new style the band had picked up. Rosen and Georgi were the main people to work on the recordings being the core of the new band. They produced the recordings themselves and did everything from recording to mixing. The work went on for more than a year and in the spring or 2002 the project was joined by a female singer, who was supposed to be the base of the whole project and take part in all of the three albums. So after an audition, Rosen and Georgi choose the 16 year old Bilyana Cenova (Billy), whose unique voice corresponded perfectly to the concept of the project. The core of the future band that would work on the project started taking shape. 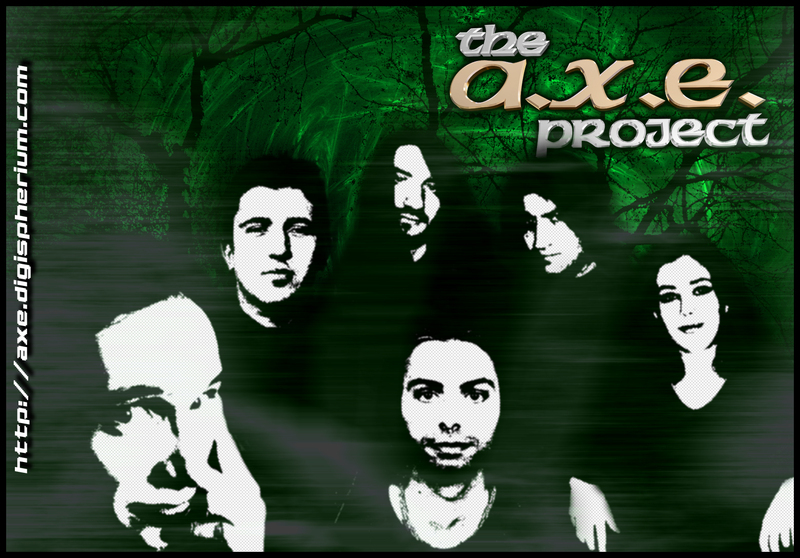 The new style and the new ideas called for a change of name, so the band changed their name from A.X.E. to The A.X.E. Project and in the spring or 2002 with the participation of two guest musicians, Kalin Ivanov - guitar and Iskren Nikolov - lead guitar the first album was completed. The finished product was presented to different labels from Bulgaria and abroad and finally porduced in a limited edition by Digispherium music, distributed only through orders over the internet. The CD wasn't left unnoticed and in 2003 the Bulgarian rock magazine Pro-Rock valued it as conceptual and strong and gave it a mark 7/10, drawing fan attention towards the band. In the late 2002 auditions for a live line-up took place, so the new style of the band could be presented live to the fans. For the concert in 2003 to the main trio Georgi - vocals and guitar, Rosen - guitar and Bilyana - vocals was joined by Georgi Iliev - drums, Lilly Svetlinova - keyboards and Filip Nakov (ex.Mauntain Lion) - bass. The band presents to the audience 7 songs: 4 out of the album - Celts, Dark Tale, Mountain Queen, Wasted and 3 covers - Nightwish - Know why the Nightingale Sings, Luca Turilli - Warrior's Pride, Nightwish - Sleeping Sun. After the performance, the band continued the search for funding for realization of the full project. In the meantime the music for the second disk from band the was ready and the recordings started in late 2005. In a brand new and final line-up, the band is looking for a label in order to be able to release their new album.